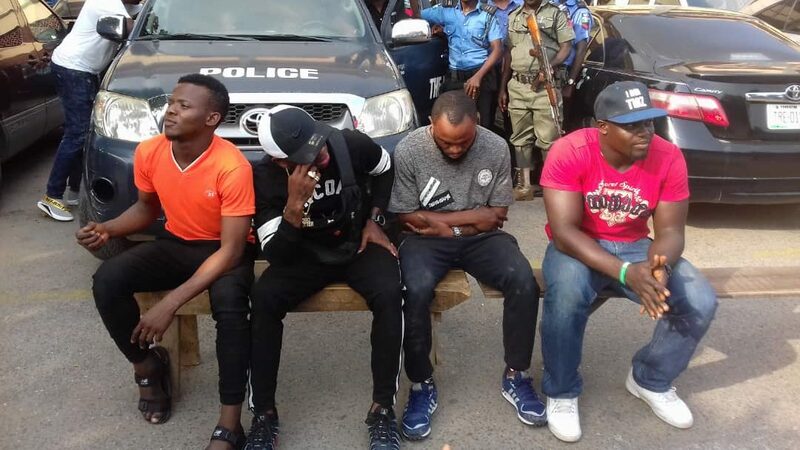 Operatives of the Lagos State Police Command have arrested popular Afro Hiphop artiste, Adekunle Temitope, popularly known as ‘Small Doctor’(pictured 2nd from left), for alleged possession of firearms and indiscriminate shooting. Three others, who were allegedly involved in the crime were also apprehended. The Lagos State Police Commissioner, Edgal Imohimi, while briefing journalists on Monday, said Adekunle, who was being investigated for allegedly firing indiscriminately after a show at Agege on Tuesday, November 27, also threatened to shoot a traffic police officer, who was on duty in the Oshodi area of Lagos State. Imohimi said, “It was alleged that four unknown men, in an unregistered green SUV, had brought out a gun and threatened a policeman that if he did not leave the road, they would shoot him. “Believing that they were armed robbers, I sent out my men and fortunately the men, with the Divisional Police Officer in charge of Shogunle Division, were able to intercept the vehicle and the suspects were arrested and brought down to the headquarters for interrogation. Imohimi, who expressed disappointment at the musician’s conduct, said Adekunle had a case with the State Criminal Investigative and Intelligence Department, Panti, for shooting indiscriminately at his Agege show where four persons were injured. 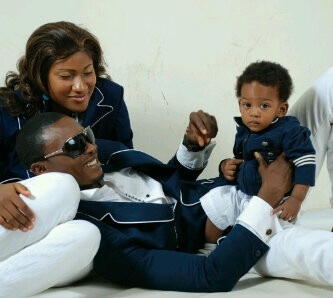 He said, “Adekunle Temitope, a.k.a. ‘Small Doctor’, was arrested and taken to the State Criminal Intelligence and Investigative Department for questioning. He was alleged to have fired a gun; the pellets from the gun injured four people, who were rushed to the hospital. “You would have thought that the incident would serve as a caution to him, but surprisingly today, I got a situation report from traffic monitors at the Oshodi area about four unknown gunmen in an unregistered green SUV. “He (Small Doctor) allegedly brought out a weapon and threatened to fire at the policemen. Fortunately, the DPO and other policemen at Shogunle intercepted the suspects and arrested them. Imohimi, who said he had directed that the case be properly investigated, added that the suspects would be charged to court for threatening violence on policemen and being in possession of firearms.